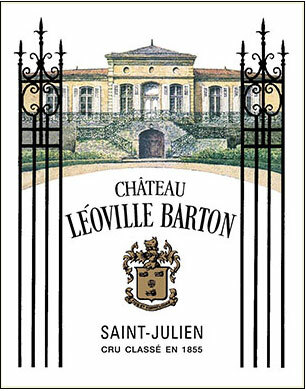 Still one of the most backward wines of the vintage, Leoville Barton’s 1982 is a wine of huge extract, high tannin, and a somewhat ancient style that recalls some of the Bordeaux of the late 1940s. The color is still a dense, even murky, opaque ruby/garnet. The wine offers up notes of licorice, cedar, black truffles, and sweet currant fruit. I had the wine twice in 2002, and my tasting notes were almost identical to the last time I had it, showing just how slowly this wine is evolving. The wine is enormous in the mouth but still has some rather gritty, high tannins. It is a classic St Julien, with meat and black currants, great structure, and an amazingly youthful, vigorous feel. I would not touch a bottle for another five or six years. Anthony Barton thinks it is more ‘rustic’ than younger vintages. No new oak was used in 1982. Anticipated maturity: Now-2035.